Abu Dhabi: Abdulla Rashid Mohammed Saeed Al Naqbi astride 11-year-old Arab gelding Rowallan Dee Jay worked his way through to win the Shaikh Rashid bin Hamdan Al Maktoum Challenge Festival For Private Owners a CEN 120km Endurance Ride to be held at the Emirates International Endurance Village in Al Wathba on Saturday. Pedro Pablo Gomez trains horses that win—and fetch dollars from Middle East sheikhs. CASABLANCA, Chile—There are compelling reasons for dismounting from your horse and running alongside it in the fourth of five loops in a 120-kilometer (80-mile) race through dusty hill country not far from the capital, Santiago. Especially on a mid-December day at the height of the austral summer, when heat waves are hovering above the ground. And especially when you're going downhill. "The penultimate loop," says veteran rider and horse trainer Pedro Pablo Gomez, "is what makes Copa Chile [the Chilean Cup] a very difficult race. The horses have already run 80 kilometers, the fourth loop is the hilliest, and it's crucial we reserve energy for our last loop." I'm in the Veramonte Vineyard, in the dramatic Casablanca Valley, the staging ground for the 2014 Copa Chile, rooting for Pedro and his horse, Otoño (Autumn). Pedro, in a long-ago race in coastal Peñuelas—which he had a crack at winning—chivalrously stopped to assist my friend who had fallen off her horse. Equestrian journalist Pippa Cuckson has received the Liz Dudden Memorial Trophy in recognition of her tireless quest to expose horse welfare issues at the highest level of sport. Her ongoing coverage of the Middle East endurance scandals in international media outlets, including her blog at horse-canada.com/cuckson-report, has shone a light on these issues, and demanded improvements. Presented by the British Equestrian Writers Association (BEWA), the Liz Dudden Memorial Trophy recognizes outstanding contributions to equestrian sport. Cuckson accepted the award at the BEWA annual awards ceremony, held December 18th at the Olympia Hilton, at a special luncheon during the London International Horse Show at Olympia. Abu Dhabi: Abdullah Rashid Mohammad Saeed Al Naqbi took top honours at the 120km Shaikh Rashid Bin Hamdan Al Maktoum Challenge Festival Endurance Ride For Private Owners at the Emirates International Endurance Village in Al Wathba on Saturday. Al Naqbi rode 11-year-old Arab gelding Rowallan Dee Jay, trained by Ahmad Mahfouz at the Al Hayar Stables, to first place. Manama, Dec20(BNA) National Guard Commander Lt. General Shaikh Mohammed bin Isa Al Khalifa, Bahrain Royal Endurance Team leader Shaikh Nasser bin Hamad Al Khalifa and Al Khalidiya Stables leader Shaikh Khalid bin Hamad Al Khalifa, attended the National Day Endurance Race Championship for a distance of 120km and qualifying for a distance of 80km. Shaikh Khalid bin Hamad presented the prizes to the winners at the end of the race, led by overall number one Fahad Al Khatri. KUWAIT, Dec 22 (KUNA) -- Kuwaiti equestrian Fahad Al-Mutairi, riding Yejdebaz, won the title of 'Al-Qudra wa Al-Tahammul' (capability and endurance) 100 kilometers horse race, held on Monday as part of the Fifth National Heritage Festival. The festival kicked off yesterday under auspices of His Highness the Amir Sheikh Sabah Al-Ahmad Al-Jaber Al-Sabah. Kuwait's Abdullah Al-Mutriga, riding Redam, came in second place followed by Kyrgyz equestrian Abdelhadi Abo-Jemma on his RPG horse while Majed Al-Rashdan, of Kuwait, came in the fourth place on Meotzadeh. Dubai: Teenager Saif Ahmad Al Mazroui said he is ready to challenge for the biggest endurance prizes after delivering a masterclass to win the Shaikh Saeed Bin Hamdan Bin Rashid Al Maktoum Endurance Challenge at the Dubai International Endurance City on Friday. Riding the MRM Stables-trained ten-year-old gelding Nopoli Del Ma, the youngster grabbed the lead in third loop of the CEI** 120km ride and went on to dominate a record field of 240 riders, before recording one of his most impressive wins. FEI: Is Welfare ‘Paramount’ – or Just a Pain in the Neck? On Saturday, I went National Hunt racing to support a friend’s horse. He was caught on the line for third place, but connections were thrilled as he has come back from a couple of niggles last year and runs and jumps better every time. At 15-1, it was also a profitable each-way bet. This prodded to me ponder that no bookmaker would have offered odds on the dead-certainty that Ingmar de Vos would be voted new president of the FEI. The only wager you might have considered was the extent of Ingmar’s landslide. Thanks to modern technology, I was able to follow the “meet the presidential candidates session” in Baku from the racecourse’s owners and trainers bar. What a futile session that must have seemed for the four other candidates, who already realized they were going to be hammered at the polls (De Vos, 98 votes; Durand, 21; Genecand, 6, McEwen, 6; Helgstrand – dropped out before ballot). Even the FEI’s press release about that session was brief, containing as much information about the marvelousness of Princess Haya as it did about the vision of the quintet vying to be her successor. Maybe profitable bets can be placed on how many times the FEI can magic-up a reason to mention Princess Haya in its future press releases, even though she is longer in office. You can read about General Assembly decisions on the FEI website or click here. These include positive innovations and other revenue achievements. What you won’t find flagged-up is the day’s most articulate and thought-provoking address, given by Roly Owers of World Horse Welfare. A HEARTWARMING yet also heartbreaking story of friendship has emerged following the loss of Roadvale resident Maureen McCann's home to fire last week. Boonah's Christine Maroni, an equine Bowen therapist, is helping Ms McCann get back on her feet after she lost everything in the blaze. Ms Maroni is also a professional photographer who took the pictures that appear on this page. She met Ms McCann a couple of years ago when she was asked to do Bowen therapy on her horses. Their common interest in horses and endurance riding meant their paths crossed frequently. Endurance GB South West held its annual Christmas ride on Sunday, November 30, giving local riders the chance to enjoy the wonderful parkland of Lanhydrock House, near Bodmin. Held by kind permission of the National Trust at Lanhydrock House, the Forestry Commission and local landowners, the pleasure ride covered approximately 10 miles of parkland and was organised by Jo and Peter Claridge from Cardinham. Six days from now, the FEI will have a new President – there is no female candidate since Princess Haya decided not to stand for a third term in spite of having prompted a change in the Statutes for that purpose last spring. 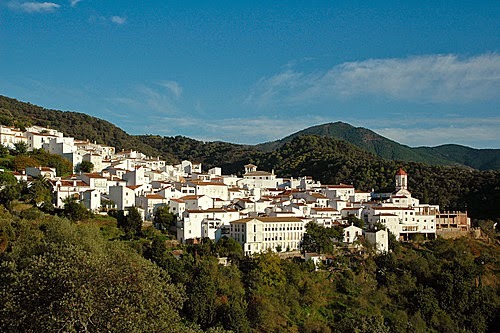 The number of candidates competing for this position is unprecedented: there are still five people in the running since the Spaniard Javier Revuelta Del Peral withdrew. In alphabetical order: Ingmar De Vos (BEL), Pierre Durand (FRA), Pierre Genecand (SWTZ), Ulf Helgstrand (DEN) et John McEwen (GBR). However, the FEI has simultaneously announced that as a result of “loopholes” found by the investigation, it is reviewing horse identification processes and undertaking a “full review of its legal system.” This can at least be regarded as a result – assuming, of course, the new procedures are actually enforced, about which I am not holding my breath. I was, of course, disappointed that Sheikh Hamdan’s cronies will get away with not having to provide a public explanation as to why “Marmoog” sprouted a white face during the 2012 Endurance World Championships. But I am not entirely surprised, due to the futility of the very tight deadlines – a mere 30-minutes after the event – set by FEI regulations for members of the public to report suspected violations to the ground jury. Sheikh Hamdan would not have needed to hire a very expensive lawyer to point out that get-out. Like the USA, Spain has also recognized the importance of Endurance 101 clinics to recruit potential new endurance riders and provide information for them. 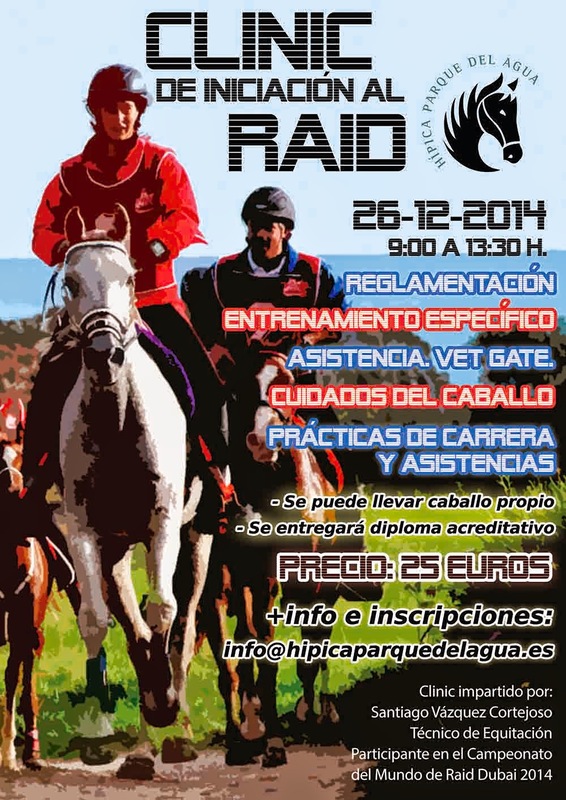 A Clinic de Iniciación will be held December 26th at the Hipica Parque del Agua in Zaragoza, Spain. A clinic dedicated to youth, its purpose is to instill the core of the endurance riding discipline, to learn the techniques and to love the sport. It will be conducted by Técnico de Equitación Santiago Vazquez, a participant in the Dubai World Championship 2014. Winner of the 61st annual 2-day 2 x 100km Santa Susanna ride was Spain’s Angel Soy Coll riding Sontana with a combined 2-day time of 11:28.51, by one second over Poland’s Kamila Kart and Phayda de Lux. Third place went to Spain’s Guile Soldevila Altarriba riding Soleil Vere, finishing 3 minutes behind the top two. Australia’s Alexandra Toft finished 13th, riding Papillon du Parc with a combined time of 13:18.38. 15 of 37 riders completed the 2-day ride. A brilliant performance by UAE teenager Abdulla Ghanim Al Marri on his 10-year-old Arabian stallion, Quran El Ulm, helped him score a narrow victory in the HH Sheikh Mansoor bin Zayed Al Nahyan Global Arabian Horse Flat Racing Festival’s prestigious National Day Cup. It was the 19-year-old’s first victory in the 120-km Endurance Ride at the Emirates International Village in Al Wathba that took palce on Saturday. Representing Fazza 3 Stables, Al Marri started the final 16-km loop in seventh and finished just one second ahead of early leader Mohammed Al Abbar on Raksha. Saeed Jaber Al Harbi completed a 1-2-3 sweep by the UAE on JQ Safi Safra, ahead of Argentinean jockey Martina Spelanzon. The 61st annual 2-day Santa Susanna endurance ride will take place December 6 and 7, 2014. Several races will take place: a CEI3***, with 99 km over each day, and a CEI2** with 73 km over each day. A CEI1* 99 km ride will also take place on Friday December 5. 133 pairs were signed up at the official close of entries, with 44 pairs in the CEI3***. Riders from Argentina, Australia, Belgium, Finland, France, Italy, Poland, Portugal, Switzerland, and Spain will participate. Abu Dhabi: It is the National Day Cup 120-km endurance ride on Saturday and almost every top rider in the UAE and many from around the world will be part of the starting line-up at 6am at the Emirates International Endurance Village in Al Wathba in Abu Dhabi. The National Day Cup, which this time will mark the 43rd anniversary of the birth of the United Arab Emirates, is one of the most prestigious rides in the UAE’s endurance calendar and is expected to see a close contest for honours over the five-stage 120-km distance. Manama, Nov29(BNA) Ghazi Al Dossary from Al Raood Stable was crowned champion of the Season-Opening Endurance Race, held over a distance of 120km yesterday at the Bahrain International Endurance Village. Bahrain Royal Equestrian and Endurance Federation (BREEF) Honorary President Shaikh Nasser bin Hamad Al Khalifa presented the prizes to the winners. BREEF President Shaikh Faisal bin Rashid Al Khalifa participated in the presentation ceremony along with BREEF Endurance Committee Head Shaikh Daej bin Salman Al Khalifa. Al Dossary on his horse Mike trained by Shaikh Daej bin Salman succeeded in clinching first place after finishing the race in a total time of 04.56.35 hours with a speed of 24kph. He was followed by Hussain Nayef from N13 Stable team riding Ralia and trained by Ahmed Abdulla, who finished the race in a total time of 05.06 50 hours with a speed of 23kph. Third place was won by Paghat Sing from Al Raood Stables, finishing in a total time of 05.06.55 hours with a speed of 23kph.